2 editions of A genealogical register of the descendants in the male line ... found in the catalog. Add another edition? 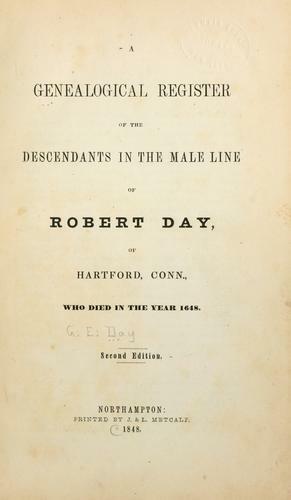 Are you sure you want to remove A genealogical register of the descendants in the male line of Robert Day, of Hartford, Conn., who died in the year 1648. from your list? 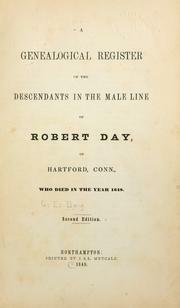 Published 1848 by Printed by J. & . L. Metcalf in Northampton .